1. JFR coal fired hot air furnace integrates burning and heat transfer. It adopts the latest indirectly heating technology that uses the high temperature part of furnace body to transfer heat. Exhaust gas and air go in different ways, so this hot-blast stove can heat with no pollution. 1. Oil/gas fired hot air stove can use diesel oil, light oil, heavy oil, natural gas or coal gas as fuel. 2. This hot air furnace uses pure hot air as the medium, so there is no pollution. 3. It is featured with lower power consumption and higher thermal efficiency. 1. 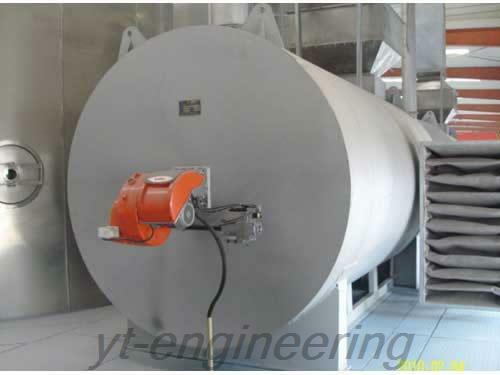 YY (Q) W thermal oil furnace has a wide range of heat supply from150, 000 kcal/h to 12, 000, 000 kcal/h. 2. 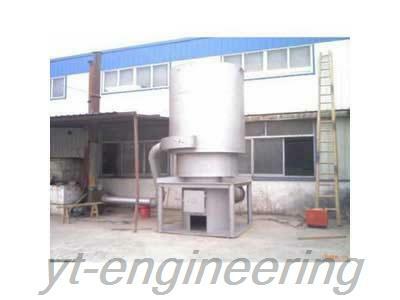 This heat conduction oil furnace adopts optimized design with overload heat supply. 3. It adopts double-layer or multiple-layer coiler and ceiling coil structure. It also uses quick-opening furnace body structure. Heat source equipment is a kind of new type energy-saving industry equipment that can supply high temperature thermal energy. 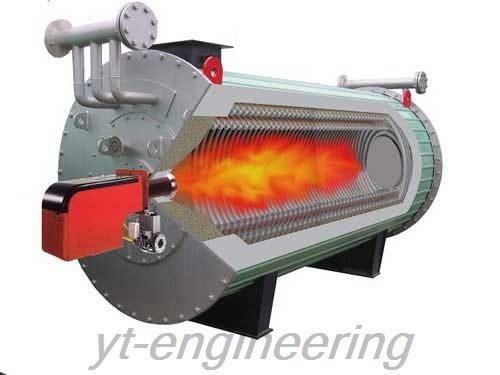 As a type of special industrial heat source device, it can complete heating, circulation, reheating and recirculation. We mainly provide coal hot air furnace, oil/gas hot air stove and thermal oil furnace. The heat supply principle is that heat source equipment uses electric heating, coal or fuel oil to heat up and adopts conduction oil as the heat transfer medium. In the closed cycle system, make the heat carrier forcedly circulate through pump. Heat source device runs in low pressure and high temperature, directly releases heat, and further achieves the purpose of supplying heat source. 1. Unique design makes exhaust gas and wind go in different ways. It can heat without pollution. 2. Heat source device features high thermal efficiency and low exhaust gas temperature. 3. It adopts stainless steel material, which makes it resistant to high temperature and corrosion and makes it have a long usage life. 4. Heat source equipment is widely applicable for various fuels, such as oil, gas and coal. 5. Heat source device can heat up quickly. It can continuously output hot air with the temperature of over 80℃ eight minutes after ignition. The temperature of hot air can be flexibly adjusted within 300℃. 1. Heat source equipment can acquire higher working temperature in lower operating pressure. 2. It adopts closed cycle heat supply, resulting in small thermal loss and obvious energy saving. It can provide different using temperatures for several hot-using devices. 3. Heat source device can realize stable, even and gentle heating and highly precise temperature control (±1℃). 4. Yutong heat source equipment is equipped with advanced and reliable control system (PID self-adjusting) and safety inspection device. 5. It has safe and efficient electric heating type high temperature generator, featuring small volume, fast heat transmission and no coking. 6. Adopting highly efficient and intensive heat transfer tube technology, heat source device runs with low cost and fast investment return. 7. Our heat source equipment is also characterized by reasonable structure, short installation cycle, simple operation, full configurations, high automation, wide applications and reliable performance. Jiangsu Yutong Drying Equipment Co., Ltd is a professional manufacturer and supplier of heat source device in China. In addition, we also provide drying machine, grinding machine, granulating machine, extractor and concentrator equipment. Our company has been awarded as “AAA” enterprise by Jiangsu International Credit Assessment Company. Our heat source equipment is highly appraised by customers worldwide.